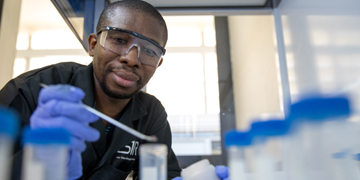 The CSIR has strong capabilities in nanostructured and advanced materials, biomanufacturing and metal processing. Through innovation and novel technologies in these areas, the organisation helps to improve the competitiveness of the chemical industries in South Africa – developing new products and supporting the local production of pharmaceuticals and advanced materials. 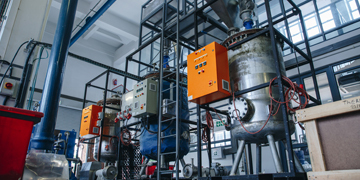 The CSIR’s Future Production: Chemicals cluster accelerates technology diffusion into the market through the integration of digital technologies and stimulates local industry to develop innovative products and processes by providing pilot-scale infrastructure and the necessary skills. The cluster seeks to establish collaborative partnerships with industry and academia. Green chemistry technologies: The CSIR is enhancing the sustainability of the chemical industry by developing and implementing cutting-edge green chemistry technologies. The focus is on developing high-value chemicals and materials through combined bio- and chemical conversions of biological and petrochemical feed stocks. Processing technology for better access to drugs: The CSIR is focusing on upscaling locally developed and inbound processing technologies to help the pharmaceutical industry bridge the gap between research and development and product manufacturing. The main intention of the platform is to support local and regional manufacturing of active pharmaceutical ingredients and biologics to enhance access to drugs and reduce the trade deficit. 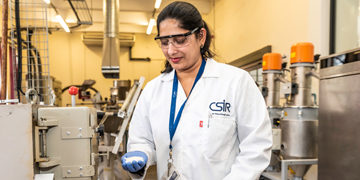 Producing and localising advanced materials: The CSIR is supporting the chemical industries by developing new and modified materials, while introducing green production methods and focusing on process efficiencies. Such new and modified materials provide superior performance in terms of one or more characteristics. 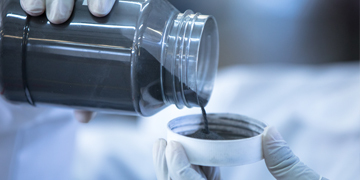 The main focus is on polymer nanocomposites, emerging nanofillers, advanced polymer materials and primary metal production.